Contact lenses "can save your life"
People who wear Contact lenses may be helping to boost their health and increase their lifespan, one source has claimed. David Hurst, writing for the Daily Mail, pointed to a number of recent studies which have extolled the virtues of wearing contact lenses to combat a number of ailments. As well as assisting people in managing migraines, contact lenses can also be used by sufferers of conditions ranging from diabetes to dyslexia, with glaucoma sufferers also aided by the development of new lenses which releases vitamin E into the eye, the writer pointed out. He stated: "It used to be that contact lenses were worn only instead of glasses. Now a new generation of lenses has transformed them into valuable health tools that can help not only with serious eye problems, but everything from migraines to diabetes." 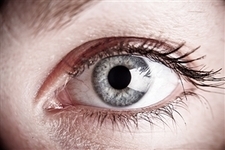 Recently, a team of experts at the University of New South Wales in Sydney revealed that it has used stem cells with the ability to turn into other cell types on contact lenses to treat corneal disease.